The native inhabitants of Suriname referred to him as a God. He is the third largest cat in the world after the tiger and the lion. 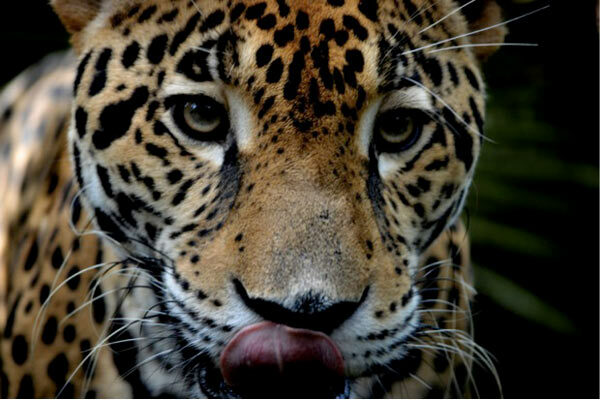 The Native American called him ‘yaguar’ which means ‘he who kills with one leap’: the jaguar. The jaguar (Panthera onca) can be found in 18 Latin American countries. Today they are mainly concentrated between Southern Arizona and New Mexico to Northern Argentina, but are extinct in EL Salvador and Uruguay. ‘Junior’ resides at the Belize Zoo. Males measure around 1.8 m (6 feet) long and can weigh up to 113 kg (250 lb). Females are usually smaller and lighter (100kg). They can reach sexual maturity at about two years of age, males at around four. Female jaguars can have a litter of 1-4 cubs at the time which, they would defend fiercely (even against their own father). Most jaguars have an orange colour coat with distinctive black spots which are unique to each individual and can be used by humans to identify individuals. But others born black are called ‘black panthers’. This melanism is conferred by a dominant allele that gives that excessive black pigment on the jaguar’s coat, a biological mechanism called ‘ ghost tripping’. The spots are actually still present but hidden by the dark skin pigmentation. ‘Lucky Boy’ resides at the Belize Zoo. These powerful mammals are opportunistic hunters. Highly muscular with very powerful jaws, they are efficient ‘stalk and ambush’ predators. They can kill huge prey such as cows, but their preferences usually center around deer, coati, peccaries, armadillo, capybaras, birds, small mammals and even snakes. Occasionally their diet includes fish or large river turtles. Jaguars can break open turtle shells using their strong canines and unlike other big cats such as lions, tigers and leopards that attack their prey at the neck or throat, jaguars often kill preys by biting through their skulls, between the ears. Junior at the Belize Zoo. Jaguars are solitary animals; their territory is about of 20 square kilometres which they mark with their waste or by clawing trees. Unlike most cats, jaguars like water and are actually good swimmers. Like most jungle cats, jaguars mainly hunts at night or twilight hours so scientists have the difficult task to guess their numbers in the wild. The recent use of camera traps has, however, contributed in better data collection and in having an overall better understanding of their location and behaviour. Today their survival as a species is still at risk. It is estimated that there are only 15,000 individuals left in the wild. Jaguars suffer from habitat destruction and fragmentation due to human population growth, farming activities, illegal hunting and a decline in wild prey numbers (due to overhunting). 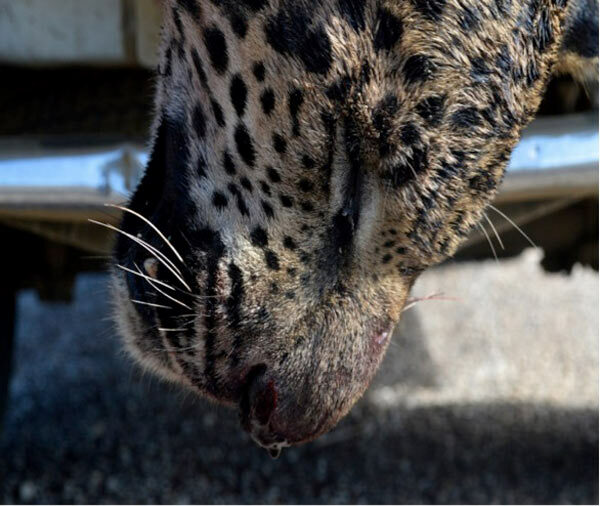 This fuels the vicious cycle of human-wildlife conflicts, often forcing jaguars to prey on livestock. Jaguars were widespread in the New World until the nineteenth and twentieth centuries when hunting for sport and fur started to decimate their numbers. ‘Between the 1960′s and 1970′s, as many as 18,000 jaguars were killed each year for their beautiful coat’ according to the big cat conservation organisation Panthera. In 1973, the Convention on the International Trade in Endangered Species (CITES), brought the fur trade to an official stand-still. This species was then listed on Appendix I of CITES as ‘near threatened’ by IUCN. Panthera onca is a near-threatened species according to the International Union for Conservation of Nature organisation (IUCN) red list. Like many apex predators, their reproduction cycle is slow so the killings of adult jaguars has a direct impact on the overall population. ‘Edgar Hill-in Pine Hill –Southern Belize. 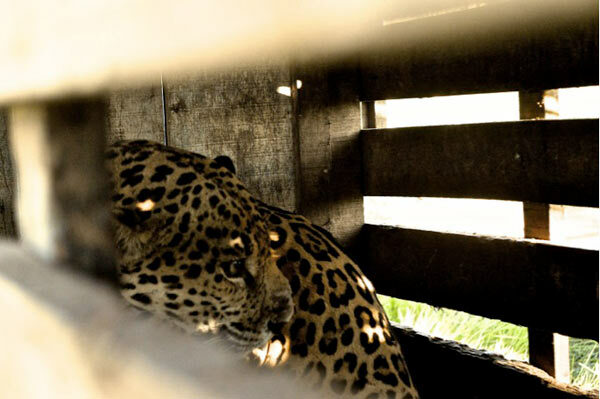 Human-jaguar conflicts are on the rise in Belize, as human population and farming activities are expanding. 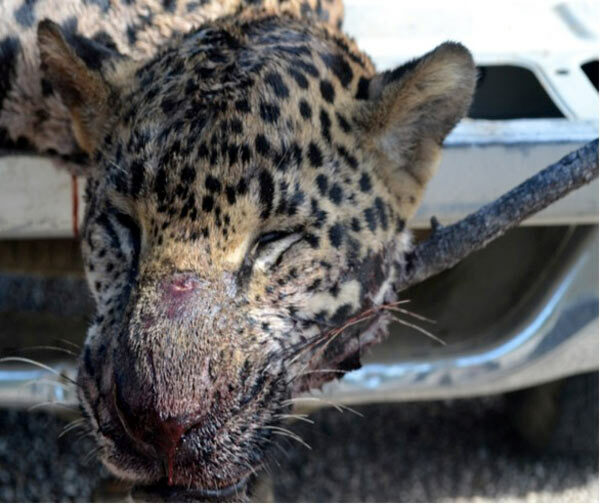 The Mennonite farmers claimed that a jaguar had threatened the life of a man on his horse-wagon and that several jaguars were roaming in the garden in day light. 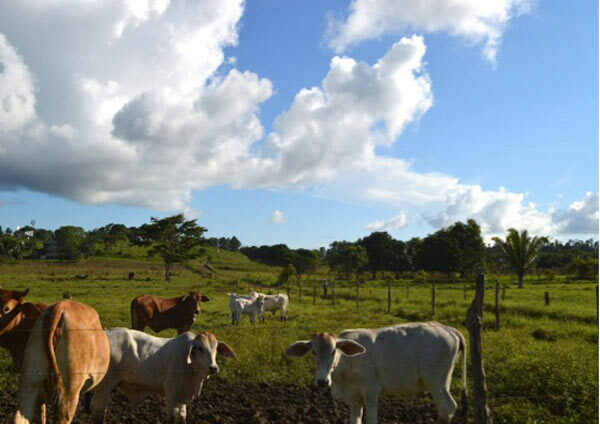 Mennonite farm in Pine Hill- Southern Belize. Jaguars are facing an imminent threat in Belize; they often pay for trespassing on human settlements (especially farms) with their lives. 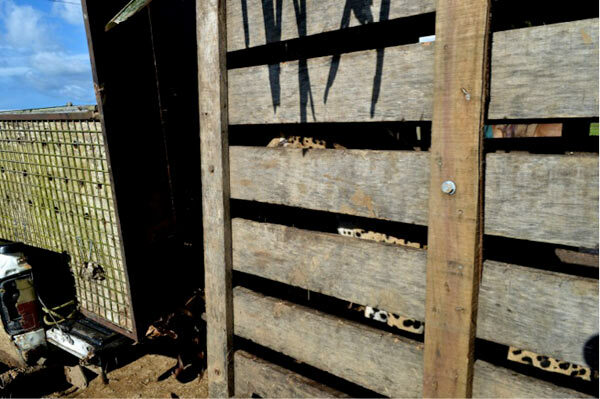 In some rare cases their lives are spared; Mennonite farmers capture them using traps. Field research undertaken by Dr. Omar Figueroa — a Belizean researcher from the district of Cayo — reports that there are most likely no more than 800 jaguars remaining in Belize. 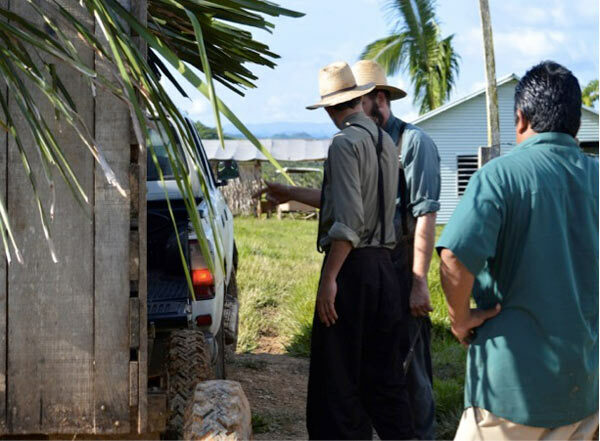 ‘Edgar Hil’ was named after one of his rescuer ‘Edgar Correa’ from the Belizean Forest Department and ‘Hill’ as the Mennonite farm he was found in was in ‘Pine Hill’ in Southern Belize. The Belize Zoo has been hosting more and more jaguars over the years such as ‘Junior’ (who was born at the Zoo), so many that its capacity is now limited. 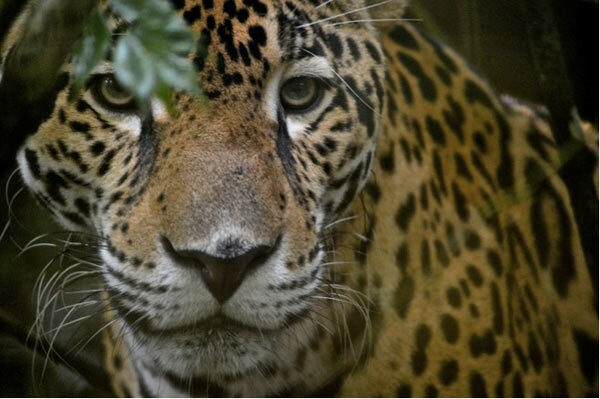 Junior resides at the Belize Zoo. 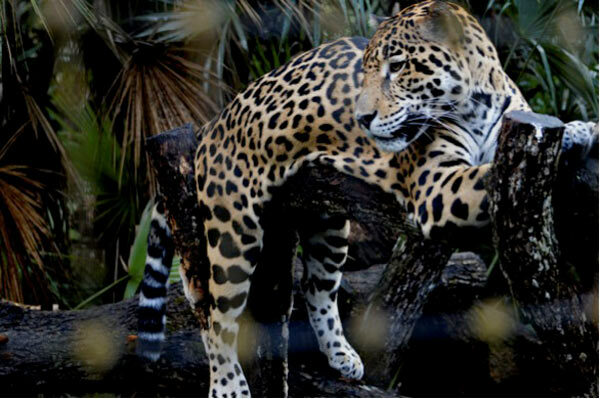 Jaguars and other big cats, such as pumas, suffer from habitat loss and fragmentation all over The Americas. The welfare of the remaining free-roaming ones is under threat. 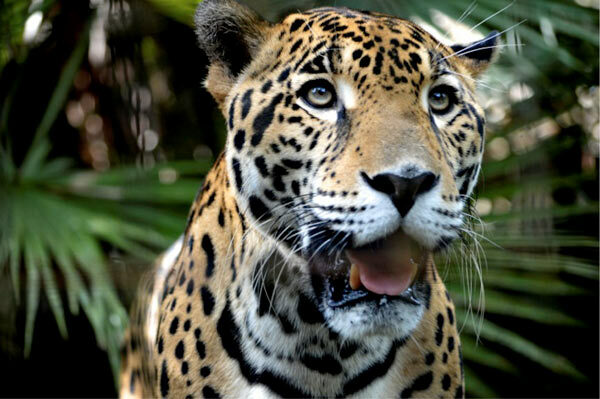 The Belize Zoo strongly works to enforce the concept of the Central Wildlife Corridor which, in theory, would provide habitat for jaguars to roam north-south. 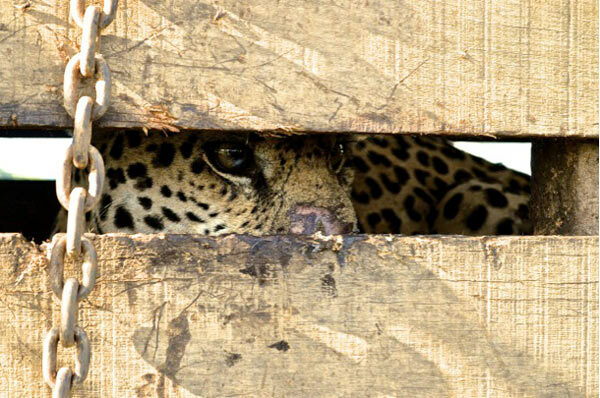 Reports show that jaguars that had been previously translocated had travelled back to their initial territory, so once a jaguar is captured it can never be released to the wild again. The Belize Zoo was founded in 1983 by an American biologist who was hired to look after native wild animals used in a wildlife documentary. She decided to rescue the animals, as they could no longer be released into the wild. 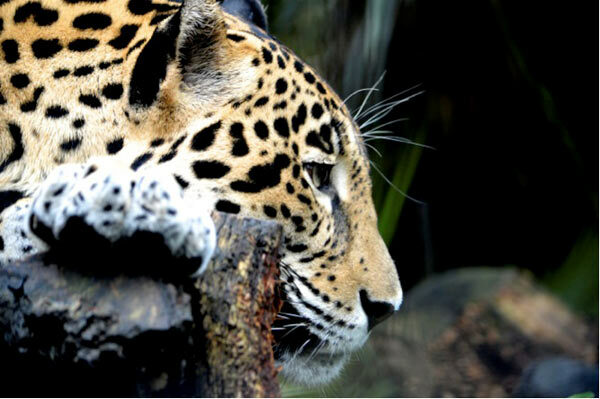 The zoo is spread over 29 acres, and is home to more than 150 animals of about 45 species, all native to Belize. The natural environment of Belize is left entirely intact within the zoo, the dense, natural vegetation separated only by gravel trails through the forest. The zoo plays an immense educational role in Belize, allowing locals to meet the most charismatic and endangered animals in the world, hopefully raising awareness of the environmental damage that we cause and hopefully will bring people together to become better green ambassadors. The presence of big cats in zoos can be seen as educational; and jaguars tend to live around ten years longer in captivity than in the wild. 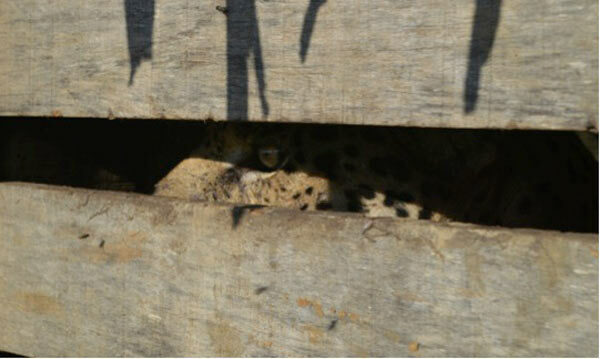 However, the space in the enclosures could however never match the jaguars’ normal territory of 20 square kilometres. 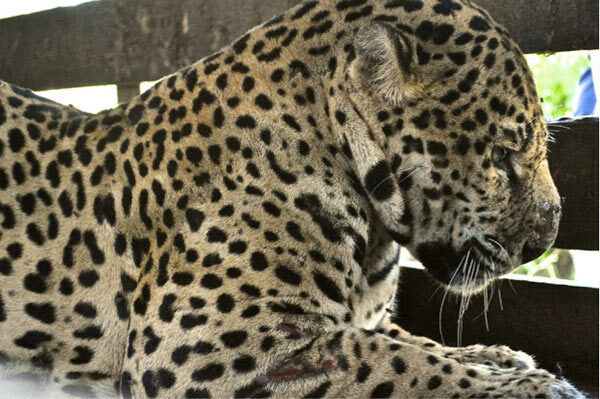 Many jaguars seen on farming lands in Belize are killed on site. 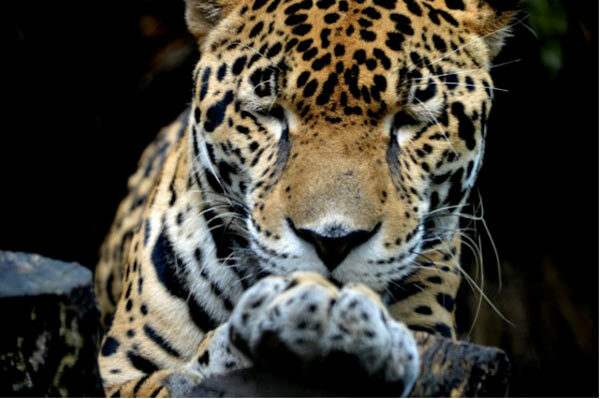 Conservation organisations such as Panthera work around the clock in Latin America to protect dense forests and set appropriate corridors between national parks for jaguars (such as the Jaguar Corridor Initiative -JCI ) . 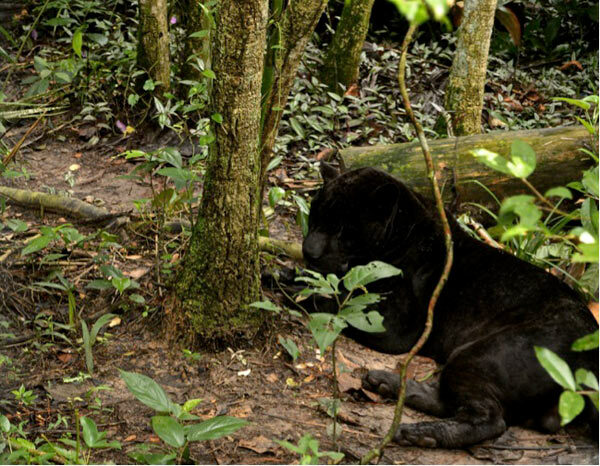 The purpose of the JCI is to connect jaguar populations throughout Las Americas to protect the genetic balance of the Panthera onca species. To date, research shows that there are no recorded sub-species of Panthera onca throughout the stretch of Latin American countries. This genetic continuity is unique to this big cat species. Southern Belize is one of the last strongholds for jaguars in Central America. It is the most well forested region and represents an important natural corridor for other big cats as well.